(Heerbrugg/Switzerland and Hanover/Germany, 9 October 2012) – Leica Geosystems announces the next major release of its flagship software, Leica Cyclone 8.0. 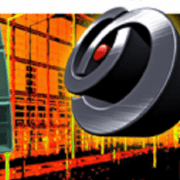 In addition to providing further improvements in office productivity for processing as-built laser scan data, Cyclone 8.0 gives users powerful, new capabilities. Users can now directly connect point cloud data with other spatial data sources (such as 3D models) and readily share and re-use modeled data. Leica Cyclone 8.0 is being introduced at Intergeo as supporting software for the new Leica ScanStation P20 ultra-high speed laser scanner. 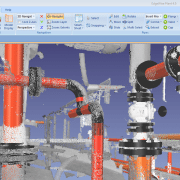 Herndon, Virginia — December 12, 2012 — ClearEdge3D today released EdgeWise Plant™ 4.0, with 9 major new features and enhancements that create the fastest end-to-end pipe modeling solution on the market. The software automates the 3D modeling of complex process plant facilities, cutting up to 85% of labor from the modeling workflow.